We love doing whatever we can to lessen our impact on the environment and buying baby products and toys that are consciously created fits right in to this. Our favourite eco-friendly and organic baby products use recycled or sustainable materials, are non-toxic and free of harmful chemicals. They are also oh-so-cute, fun and entertaining! Below, we rounded up eight of our favourite environmentally friendly baby products that little ones are sure to safely enjoy. These cloth diapers are great for so many reasons. Made from sustainable pesticide-free bamboo, each diaper comes with two highly absorbent inserts that can be detached when soiled and replaced with a clean one. The diaper shell can be used multiple times; it has a waterproof polyurethane laminate exterior as well as a water resistant micro-fleece interior. With each diaper having a one-size fit that babe’s can wear between 7-35 lbs. and the company’s charitable program, in which they donate one cloth diaper to a family in need for every three that are sold, these diapers are a super choice for eco-friendly diapering. 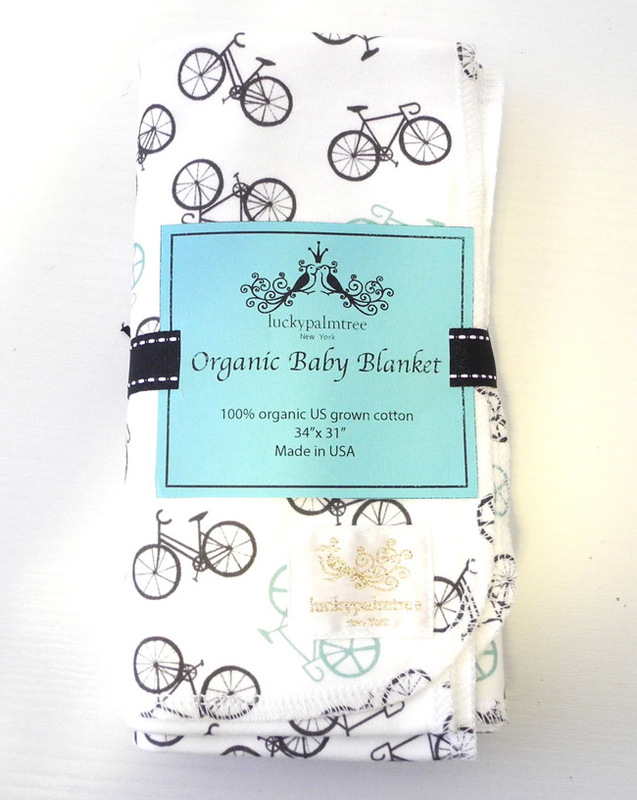 This swaddle blanket has a lovely bicycle print that will outlast the newborn months and can be used as a blankie well into the toddler years. The exclusive hand drawn design is printed using water-based non-toxic dyes on 100% certified organic cotton. The lightweight cotton knit can be used year round, whether it’s to keep baby warm, change your little one or act as a comfort object for a tot. These colourful cups are made from recycled plastic milk containers, a process that reduces greenhouses gas emissions and saves energy as the product is completely manufactured in the same state, from the raw materials to the final (environmentally friendly) packaging. 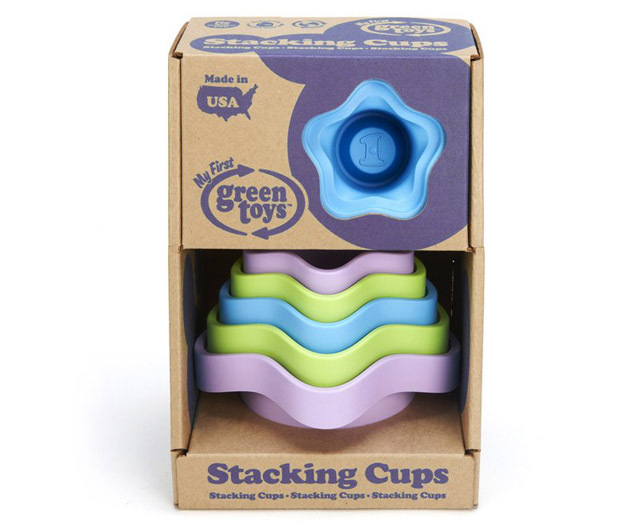 These toys are free of BPA, PVC, phthalates and external coatings and are dishwasher (and bath tub!) safe. They’re great for developing basic counting skills or just some good ol’ fun in the tub! These colourful robots are made of 100% silicone, which is an abundant resource, and come in a package consisting of recycled and biodegradable material. Each adorable set can be frozen to soothe a teething baby and has great durability. You will feel comfortable giving these little guys to your babe knowing that they are non-toxic and free of lead, BPA and phthalates. 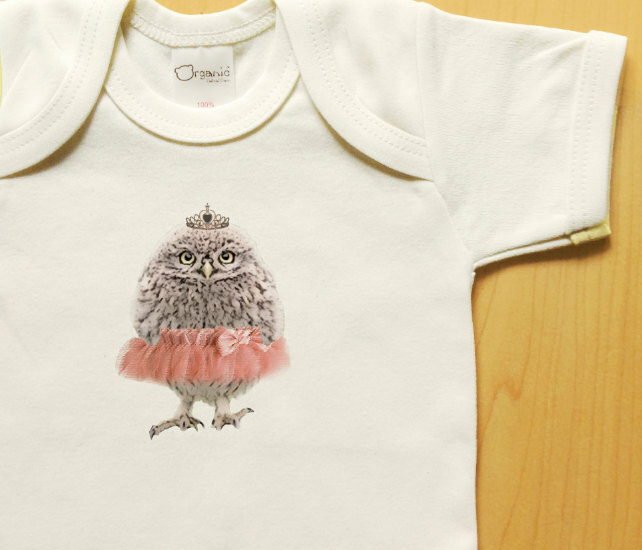 We absolutely love the humorous and whimsy designs of this Etsy shop owner, especially this one of an owl in a tutu. The entire creative process occurs in the designer’s home studio, where there is a focus on environmentally friendly practices. The designs are hand-pressed onto 100% organic cotton using water-based pigment inks and all products are chemical and pesticide-free. Little one’s will look just darling dressed in one of these eco-friendly onesies, whether they wear it with jeans for a day out with mom and dad or lounge at home sans pants! 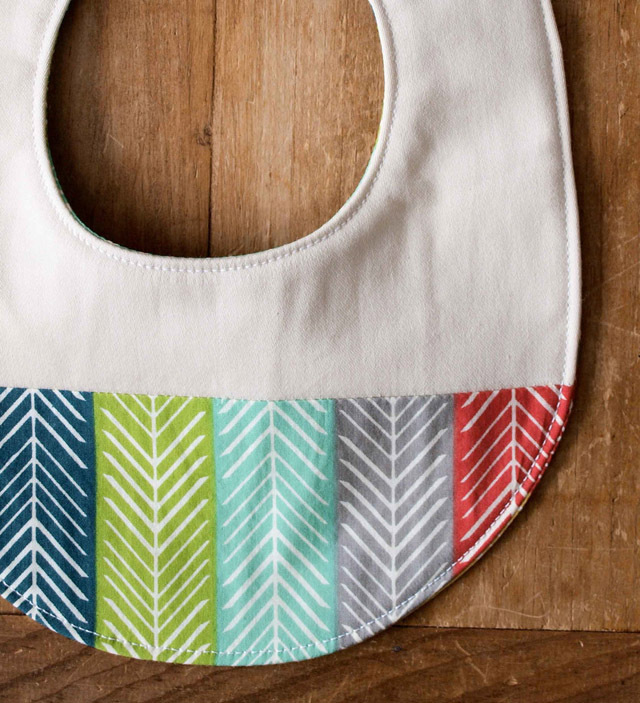 This lovely baby bib is handmade in Canada using organic cotton certified by the Global Organic Textile Standard. The shop owners obviously have a keen eye for choosing attractive textiles for their designs and ensure that they are ethically sourced. With convenient metal snap closures and a reversible pattern, this is a feeding bib that can easily be used over and over again. 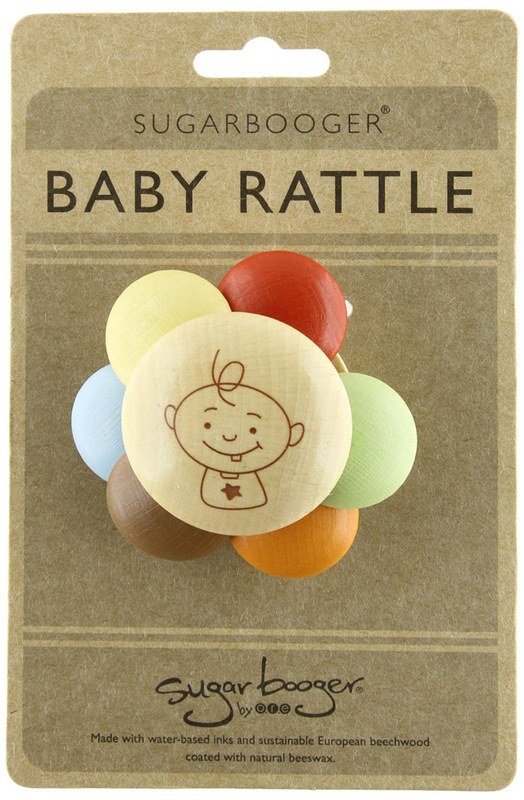 This wooden baby rattle is the product of sustainably harvested European beechwood that has been coated in natural beeswax and coloured with water-based inks. This non-toxic product is also free of lead, BPA, phthalates and PVC, meaning that you can rest assured that baby is safe the next time you see him chewing on his rattle. These cute and comfy pants are from mini mioche, a Toronto-based brand that produces garments entirely in Canada using sustainable practices. Created with organic cotton and coloured using dyes that are low-impact and non-toxic, these pants are a must have for mini fashionistas (and their eco-conscious moms! ).